Petition Continues to Rocket upward – 4001 signatures and counting! Nearly all of these have been gathered on the ground locally – mainly in Craiglockhart and Morningside. This is an extraordinary response and reflects the love people have for this important green space and the great concern about what is being proposed. 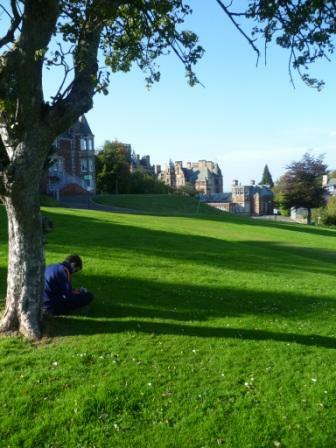 This is, of course, not just an issue that affects the local communities in Craiglockhart and Morningside but people all across Edinburgh who care about Edinburgh’s seven hills and about the effect on other green spaces in the city if excessive development is allowed over this highly protected landscape. We do not know when the developers will put their application in to the planning department, but the petition will continue in the meantime – showing the developers, the press and our elected representatives that people care. If you can help, please download the petition (in the sidebar of this site), collect signatures and email us at petition@friendsofcraighouse.com and we can arrange to pick it up from you. Many many thanks to everyone working on this, everyone who has already signed and the places that are lending their support by displaying posters and petitions. It really is terrific!